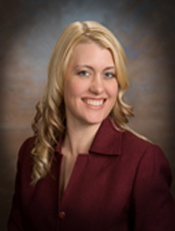 Based in the firm’s San Diego office, Ms. Syverson is an experienced Class Action and Employment Law attorney. Her practice focuses on consumer class actions, representing plaintiff classes in unfair business practices, false and deceptive advertising, data breach and product liability cases. Ms. Syverson also focuses on employment law class actions. She is dedicated to ensuring employee rights in the workplace and has represented employees in collective and class actions for recovery of unpaid overtime and wages due under the federal Fair Labor Standards Act and state unpaid wage statutes. In the almost two decades she has been practicing, Ms. Syverson has successfully represented millions of purchasers of consumer products, including food, vitamin supplements and over-the-counter drugs, cosmetics and sunscreen products, and fitness apparel, in state and federal courts throughout the United States in cases arising out of various unfair business practices and false and deceptive advertising claims. In connection with those cases, Ms. Syverson has been involved in reaching numerous settlements, resulting in millions of dollars of relief to the class members and changes in advertising to correct misleading claims going forward. Ms. Syverson also has also successfully represented consumer credit card holders against several major retailers for violations of California’s Song Beverly Credit Card Act §1747.08, and debit card holders against major lending institutions alleging fraudulent overdraft fee practices, including assuming a leadership role in In re: Checking Account Overdraft Litigation, Larsen v. Union Bank and Dee v. Bank of the West, MDL No. 2036 (S.D. Fl.). Ms. Syverson received her Bachelor of Arts degree in Political Science and Urban Studies and Planning from the University of California, San Diego in 1996. She received a full Trustee’s Scholarship for Academic Excellence to California Western School of Law where she received her J.D. in 1999. Ms. Syverson is admitted to practice in California and Arizona. As a San Diego native, in her free time Ms. Syverson enjoys spending time at the beach with her husband and four children.